Check out these news books designed specifically for early readers and children who have learned to read with Your Baby Can Read, Little Reader, or MonkiSee. They are a perfect addition to your library. I just found out about theses delightful new books for early readers series that really encourages reading. Bird and Butterfly by Amanda Stanford has bold, beautiful illustrations that children will love. The simple story keeps the text and the illustrations separate. 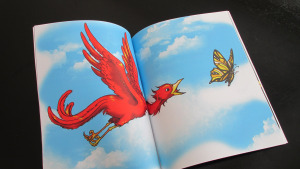 This is brilliant as it naturally draws a child’s attention to the words on the page, encouraging young children to read the story themselves without being distracted by the pictures. These books are exactly what I spent days creating for my kids when we were teaching them to read as babies and toddlers. It is so nice to be able to purchase quality products to encourage early readers without having to create everything yourself. Amanda Stanford has several more books in the works which look really nice. You can even teach your child to read using these books. As you can see above, the text is isolated, causing no distractions. 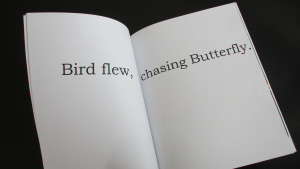 As you read the book over and over and point to the text as you go, your child will learn to read easily and naturally. I truly believe that if all books were formatted in this way, kids would learn to read much earlier. 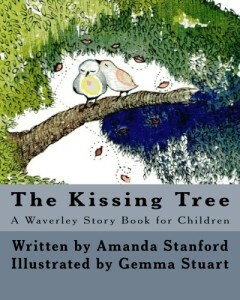 The Kissing Tree by Amanda Stanford is a sweet story that children will request again and again. It won’t be long before your child is reading these stories to you. 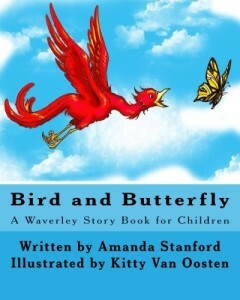 I’m thrilled that Amanda Standford has decided to create a series of books with the early reader in mind. Any one of her books make a great addition to your reading library. You can purchase these new books for early readers in the MonkiSee store. This entry was posted in Uncategorized and tagged early readers on March 5, 2014 by monkiseeblog.